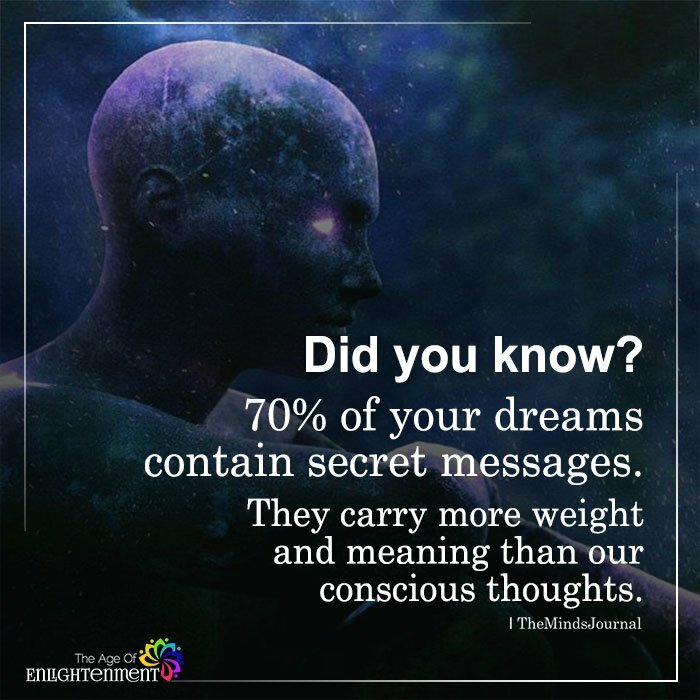 70% of your dreams contain secret messages. They carry more weight and meaning than our conscious thoughts. Dreams are the doorways to your subconscious. How do we decode? Hire Tom Hanks for another movie of decrypting subliminal messages?